Went for an autumn bike ride. Don Valley, Taylor Creek, Beaches, Tommy Thompson Park, Lakeshore. You enchant, fascinate, and thrill me. That rainy October evening 15 years ago has led us to so many incredible memories. I hope we have many more. Dinornis ceratus. My #Inktober 5 is a made-up terror bird with a couple of horns on its head. Loosely based on Dinornis maximus and an ostrich. Inktober 4. Catching up a bit. 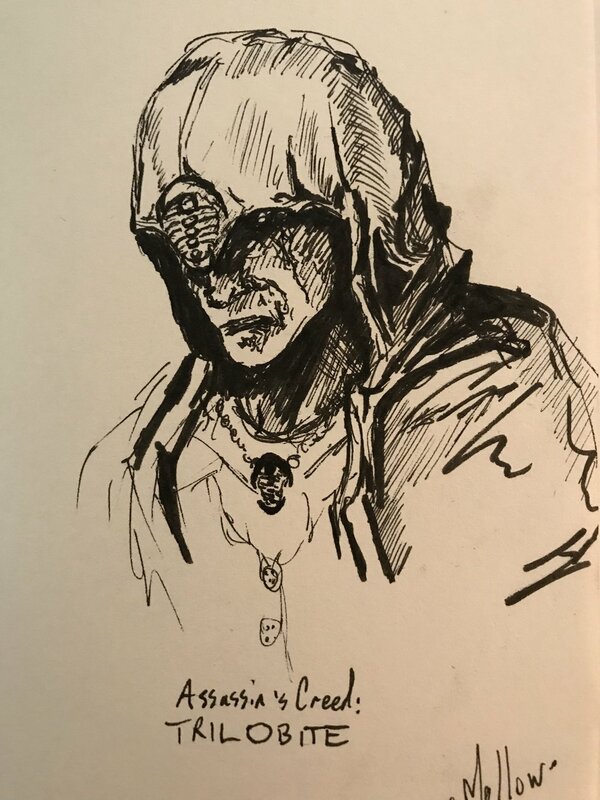 Bonus scratchy sketch with Trilobite Assassin hood motif.